Littering. It’s as easy as the flick of your wrist—but at what cost? 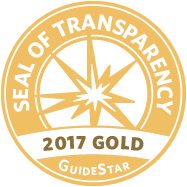 With the plethora of beach cleanups occurring throughout Rhode Island, some might believe that every beach is spotless, but they’d be wrong. 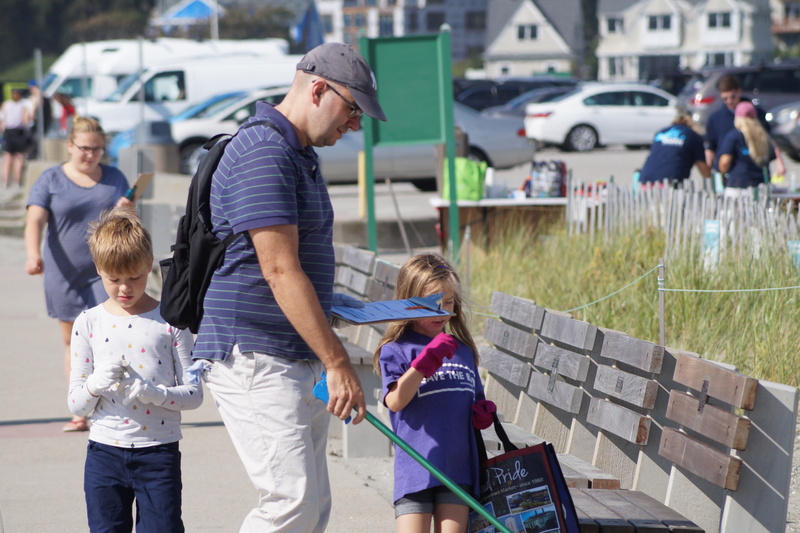 Littering is a collective issue that affects everyone, and thankfully, we’re fortunate to have volunteers who help make sure trash doesn’t degrade local beaches. I had the pleasure of participating in two Rhode Island cleanups during the 32nd annual International Coastal Cleanup Day: First Beach in Newport and Common Fence Point in Portsmouth. The International Coastal Cleanup, coordinated locally by Save The Bay, took place on Sept. 15, when more than 500,000 volunteers around the world donated time and energy to clean their local beaches. I was happy to be among them. The first step I took onto First Beach was surreal; on sand as soft as silk, I wanted to find a spot to lay down and enjoy the sweet scent of ocean water. The view, extending farther than I could see, was nothing short of mesmerizing. The appearance of the beach seemed to match the view, as if it were completely clear of debris. I thought, “If it’s so clean, what are we doing here?” A closer look revealed an abundance of small litter, including cigarettes, cups, straws, and other tiny items blending in with their surroundings so seamlessly as to create the illusion there was no litter at all. This phenomenon seemed to me a double-edged sword: the relative invisibility of tiny trash makes the beach appear clean, potentially leading people to mistakenly think that leaving one or two things behind won’t matter much. Common Fence Point seemed to be a dumping ground when volunteers arrived on International Coastal Cleanup Day. Common Fence Point beach was a stunning rocky beach that stretched along a peninsula with a clear view of the Mount Hope Bridge—a 1,200-foot-long, 285-foot-tall picturesque structure. But my gaze quickly shifted from the bridge to a pile of trash in front of me, where a volunteer contemplated its contents. Seeing my Save The Bay shirt, he walked up to me to say how proud he was of all the volunteers who came to the beach cleanup. 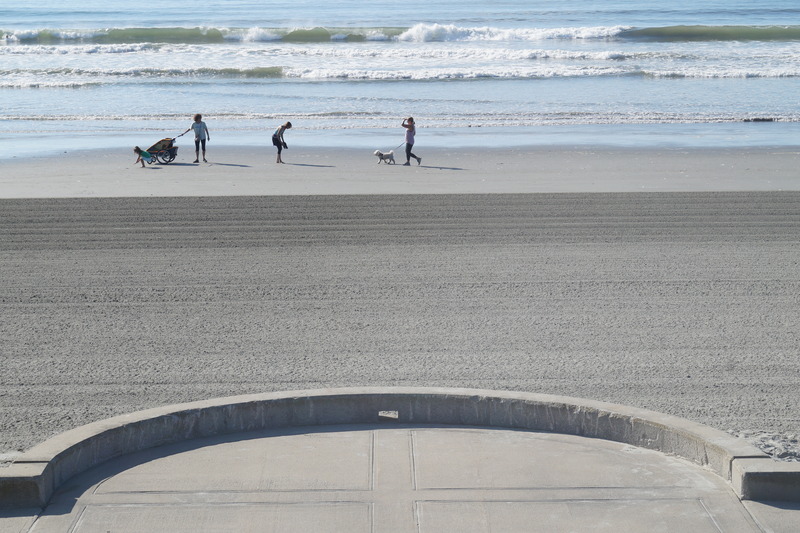 Collectively, everyone here cleaned up a mile-and-a-half of the three-mile-long beach. 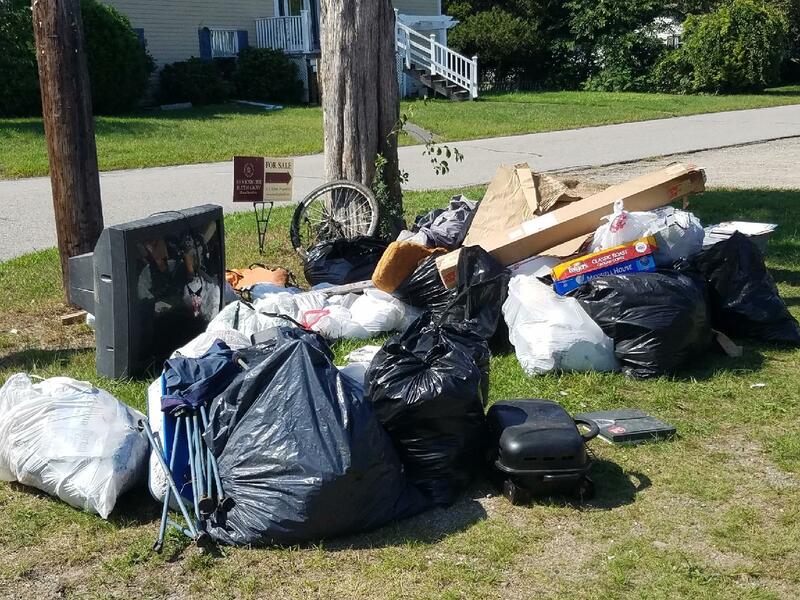 The volunteer pointed to the pile of trash, describing its contents—a T.V., a grill, bike parts and the list goes on—mostly larger items, dumped here, that volunteers shouldn’t be finding on the beach. The trash at Common Fence Point is a stark contrast to the trash at First Beach, pointing to a different kind of double-edged sword. This abundance of large, obvious trash may deter people from visit beaches like Common Fence Point, while at the same time, gives the impression that littering is acceptable behavior, encouraging others to add to the problem. A father and his children pick up litter at Common Fence Point. First Beach and Common Fence Point are now a lot cleaner, thanks to the selfless efforts of the International Coastal Cleanup volunteers. Save The Bay leads beach cleanups almost year-round, and volunteers are always needed in the spring, summer and fall. Those who can’t be a part of an organized cleanup can still make a big difference just by making sure their own trash doesn’t hit the ground and by picking up stray pieces of litter left by others, setting a great example for others. However you help tackle the problem of beach trash, you not only help the environment, but you also have the satisfaction of knowing you made a positive change. Find out more about Save The Bay’s beach cleanups and other volunteer opportunities.